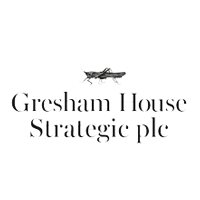 Gresham House Strategic plc (LON:GHS) has today announced its final audited results for the year ended 31 March 2018. GHS invests primarily in UK and European smaller public companies, applying private equity techniques and due diligence alongside a value investment philosophy to construct a focused portfolio expected to be comprised of 10-15 companies. The Investment Manager aims for a considerably higher level of engagement with investee company stakeholders, including management, shareholders, customers, suppliers and competitors, with the aim of identifying market pricing inefficiencies and supporting a clear equity value creation plan and targeting above market returns over the longer-term. *Prior year figures are stated on a consolidated Group rather than Company basis. I am pleased to report the best year in your Company’s short history since adopting the strategic public equity mandate in August 2015. Net Asset Value per share grew 10.7% to 31 March 2018 compared to the FTSE Small Cap Index performance of minus 0.7% and the FTSE All-Share Index fall of 2.6%. When the strategic public equity strategy was launched in the summer of 2015 the Board noted that seeking undervalued companies and helping them to realise their full potential would take time and this has proved to be the case. It is also widely acknowledged that undervalued companies or those that are out of fashion or which need help, may go through a “J” curve in terms of stock market price as, in the early period of investment, the results of change take a while to materialise. Hence, we have longer term investment horizons of typically three to five years, in order to generate superior performance from identifying areas of inefficient markets. The recent outperformance of NAV could be evidence that the value potential of a number of our investments is gaining recognition. We are confident in the investment management team which has an extremely long track record, with over 20 years of outperformance – including 15 years in strategic value-based small company investment. The Board believes that the strengthening NAV performance coupled with the underlying intrinsic value of the companies in which we invest demonstrates we are overcoming the first obstacle in a timely fashion and in line with our three to five year investment horizon. The Board has strong confidence in IMImobile and believes that “backing winners” is the right strategy. We therefore remain strong supporters of what is presently the best performing asset in the portfolio whilst cognisant of the portfolio construction aspects of this substantial weighting. We are now fully invested and, until we can eliminate the discount of our share price to NAV, it will be difficult to raise new funds, although we believe that if the current strong performance continues this possibility will become more realistic. In the interim, our Investment Manager remains focused on driving performance of the portfolio. Since the financial year end, we have announced a £1m share buyback. At the time of writing, we have seen the share price rise by circa 12% and the discount has begun to narrow. We are pleased to see that wealth managers on the shareholder register (who represent a number of different underlying shareholders) have tended to increase their stakes, as have the online investment platforms. The Board is concerned that those shareholders who invest through platforms do not receive direct communications from the Company. If you are a shareholder in this category, we would encourage you to press your platform provider to share any information they receive from us. The Company’s website has recently been upgraded and is constantly updated with new information. Contact details are available on the website and GHAM also operates a number of email distribution lists to which you are invited to sign up. During the year our investment management team and brokers have conducted numerous road shows and presentations designed to widen familiarity with your Company and similar efforts are made through public relations. We have seen some benefit from this with a number of new shareholders joining the register. We are also pleased to see individuals within the investment management team themselves buying shares in GHS, a welcome dynamic to increase long-term alignment with shareholders. This year, the accounts have been prepared on a Company rather than consolidated Group basis following the dissolution of the remaining subsidiary companies. The comparative figures are stated on a consolidated Group basis. A table showing a reconciliation of the figures is set out beneath the Statement of Comprehensive Income. Our small size does have a negative influence on costs and cost ratios. Despite this, our total costs, management fees, administration fees, custody fees, regulatory expenses and Board fees were contained at a similar level to last year, at circa £1.4m. During the year the Board had a detailed review of all costs resulting in a number of supplier changes and cost reductions, which will impact next year’s financial statements. In this context, I would draw your attention to a number of recent EU regulatory changes broadly under the banner of MIFID II. These affect how research is conducted and paid for and we fear that this may lead to a decline in independent research into smaller companies. There are also prescriptive rules about information that goes into the new Key Information Document (“KID”), which we are obliged to publish, that is in direct contradiction to the traditional investment company disclaimer that ‘past performance is not a guide to the future’. The KID uses a mandatory algorithmic approach for providing indications of potential future returns, a calculation about which we have significant reservations, and you should remember that there are other sources of information in the Annual Report, on the website, analyst reports and journalistic comment. By way of example, the formulae require use of the last five years’ of data, two of which were prior to the adoption of the new investment policy managed by GHAM and hence not strictly relevant to the evaluation of the Company’s prospects. This further move away from principles-based regulation to rules-based regulation makes life more complicated and expensive for investment companies. The benefits of this 1,000 page document are yet to become apparent. As a result of profits made on investment realisations during the year, the Board is pleased to say that it plans (subject to shareholder approval) to pay a dividend of 17.25p, an increase of 15% on the previous year’s dividend, in line with its policy to return up to 50% of gains on realisations via dividends and/or share buybacks. As the hard investment work of the last two and a half years starts to bear fruit, the Board looks to the future with a degree of confidence notwithstanding an external environment that still has many economic and political headwinds. I would like to thank our Investment Manager, Gresham House Asset Management Ltd and all our professional advisers for their diligence during a year of substantial regulatory change. I appreciate the counsel of my colleagues on the Board. Finally, I want to thank all of our shareholders for their ongoing support.